Box of 25, 4 x 50 Cabinet, Mild and earthy beginning. Evolves progressively without being aggressive. 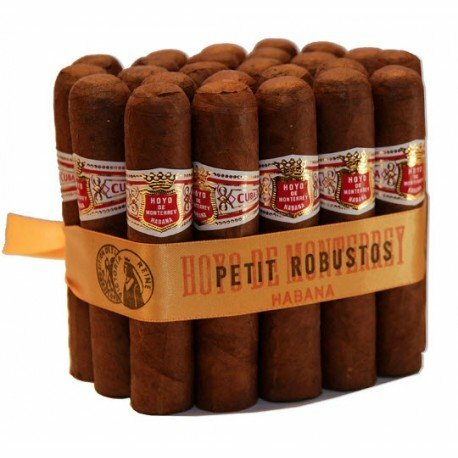 Hoyo de Monterrey Petit Robustos is a very pleasant cigar. Reminds us with the glory days of Cuba. The aromas developed are so round and aromatic that we can almost forget that it’s a young cigar. The finish is outstanding. We cannot stop smoking the last part even if we had to burn our fingers. A great cigar will be even greater in a 3-6 months time. One of the best new cigars of 2004, our favorite. 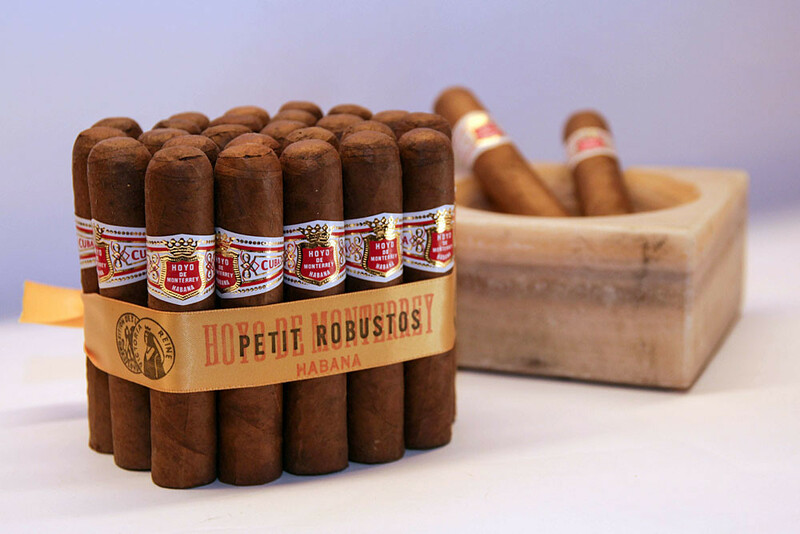 It has nothing to do with an Epicure No.2; We only hope that in the future Habanos will keep a consistent blend of this small jewels. 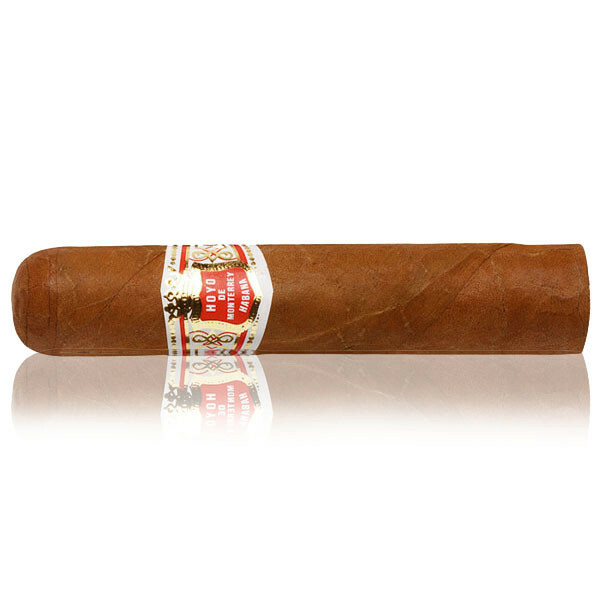 Enjoy a Hoyo de Monterrey Petit Robustos cigar now!